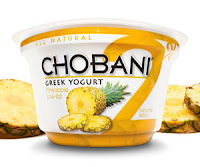 A few weeks ago, I was contacted by a representative at Chobani (one of the "big guys" in the Greek yogurt biz) to see if I would be interested in receiving some of their products to sample and use in some of my recipes here on my blog. 1. Um… yes please! Who doesn't love freebies!?!? 2. Greek Yogurt? Heck yes I will! I'll take that double of dose of protein! As a girl who considers herself "vegetarian-ish," I can always use the extra protein. And by "vegetarian-ish" I mean that I usually consume chicken or fish probably for no more than 2 meals a week. I rarely eat red meat… but it does happen ever so often. I could see the brightly colored label peering out between the opening of the box. When I opened it up! Holy Flaxseed! It was like Christmas! I was greeted with a surplus of Greek goodness... every flavor they offer! I was stoked, and I didn't waste any time for ripping off the lid of the peach yogurt, I threw on some chia seeds, a handful of Quaker Oatmeal Brown Sugar Squares (one of my fave cereals,) and go to "work" testing out this lovely, creamy, delicious yogurt! So what is the hype with this Greek yogurt that you're starting to see more often? Well first of all, you should know that it's called "Greek" yogurt because of the method used when making it. It's a straining technique that takes out all the excess liquid. This leave you with nothing but rich, thick, creamy, yogurt-y goodness! And without that texture that you get with those other yogurts. I know there's some anti-yogurt people out there, I've met them (and I may or may not have been one up until about 3 years ago,) if it's a texture thing that bothers you... give this variety a whirl! You won't be disappointed. 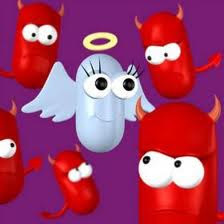 Oh, and don't forget about the bacteria, but not the gross kind! Chobani yogurt contains probiotics (aka the good guys of the bacterial world…) which help to make thousands of good bacteria living inside your body even stronger! Well what does that mean for you... a more efficient digestive system and stronger immune system. Now before you start giving me the whole, "Hey Laurie – remember that time you said buy organic dairy products… what's up with the contradiction? This stuff ain't organic!" First of all… I choose to buy organic milk, and I'm not forcing you to do so… however the benefits of going organic in some areas totally outweigh the extra cost in my book. So that's my recommendation. Anyhow... Chobani isn't certified organic, true, but they follow as many organic guidelines as possible. 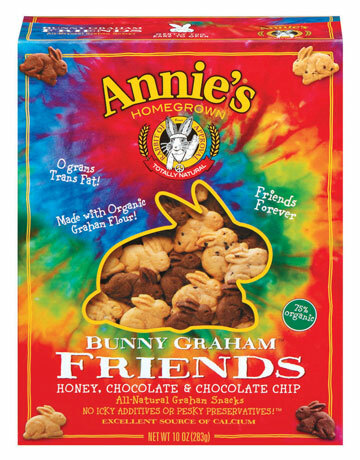 You could say that they're pretty organic-ish ;) Their product doesn't contain any antibiotics or hormones (which is a main concern in non-organic dairy products) and BONUS… they work with a dairy farm that is only 15 miles away from their plant. Localvores unite! So what sets Chobani apart from the other Greek yogurt brands? Flavors, flavors, flavors… and I don't mean "flavors," as in that artificial stuff! I'm talking about real pieces of fruit in that magical little round cup of goodness. Which sure… anyone can through in some fresh fruit in yogurt, right? I was even more impressed by the fact that this yogurt is all natural… no preservatives, no HFCS (high fructose corn syrup,) no artificial coloring. In fact, when glancing at the ingredient list you know what I saw listed?!? Tumeric (a spice) for color, and also fruit and vegetable juice! That's right real fruit & vegetable juice for color (had to say it twice because I was THAT impressed…) which is a heck of lot better for you than Red #40. Back to the flavor... besides the classics (strawberry, blueberry, peach,) Chobani features flavors that are pretty hard to come by in other Greek yogurts. Look for pineapple, POMEGRANTE (I'm a sucker for pomegranate,) raspberry, and strawberry banana! Yummers! How do I eat my yogurt you ask? I like to spice mine up a bit with a few extras, usually ½ Tb of chia seeds and some sort of "crunchy." 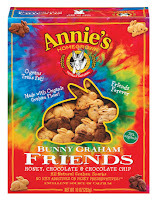 Recently I've been adding about 7 or 8 of Annie's Organic Bunny Graham Friends. I added those little guys to my cup of Chobani pineapple Greek yogurt today - which by the way, is out of this world! After I stirred in the bunnies, they softened up a bit and I SWEAR… it tasted kind of like cheesecake in a cup! However, this yogurt is perfectly delicious on its own. Don't take my word for it! Try it yourself! No seriously… head over to the Chobani website and print out a coupon! Just scroll down to the bottom of the About Us page. What else can you do with this crazy Greek yogurt? Well… the possibilities are endless! - Use a substitute for sour cream in mashed potatoes! You'll still get that creamy, smooth texture you're going for and Greek yogurt is the perfect, healthier alternative. Remember how Thanksgiving is just around the corner? Well offer to bring the potatoes… you know they'll be healthier and no one will know the difference! - Taco Tuesday coming up in your house? Well kick your guacamole up a notch (gotta love those healthy monounsaturated fats in avocados!) For every whole avocado you use, add ½ cup 0% Greek yogurt. Hello punch o' protein! - A sweet little Italian lady that I work with (who reminds me of my Mimi up in NJ) suggested trying to substitute for ricotta! Her favorite and very simple pasta dish… make your pasta, top with the meat sauce, put ricotta (or Greek yogurt) and fresh mozzarella on top. Toss into the cheese gets all melty and delish. Now that just sounds like… yum! - Hot dip! Spinach dip that is! Currently there's a recipes that looks AWESOME over on Chobani's website. Who doesn't love a good spinach dip... it usually makes the party, right? One of my favorite party dip recipes from my mom's collection (hot artichoke dip - which I probably haven't eaten in at least 5 years) literally consists of nothing but artichokes, mayonnaise, parmasean cheese, and mozzeralla cheese. Sounds healthy, right? Ha! Well I think this yogurt could totally be substituted for the mayonnaise and you could get a similar result. I'm definitely gonna try that spinach artichoke recipe that's on their website. Those are just some savory uses for Greek yogurt. Stay tuned to read about some of my future experiments with this fabulous yogurt. I think I might be in the mood for some brownies…. In all seriousness, the vanilla and peach are AMAZING. I like it plain too. Pineapple and Pomegranate are ok...but really...peach reigns supreme. I've never seen the strawberry-banana. My store needs to start selling more variety! I am Greek so I love Greek yogurt. Try to eat it with honey it is a great treat! Hi Laurie. thanks for stopping by my blog. Indeed we have flavors of yogurt in Greece. I don't know if they sell it where you live but you can ask for TOTAL YOGURT of FAGE Industry. I know they export in the US. I don't know if they deliver where you are. It is the best yogurt. I also use yogurt with garlic over boiled beet roots. It is perfect. 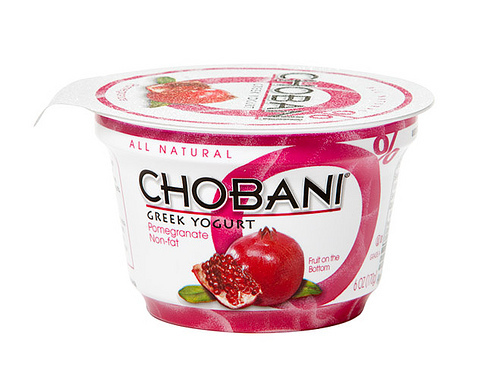 Yum!I love Chobani esp the strawberry flavor.I saw your blog from the foodie blog roll and I like what you have here.if you won't mind I'd love to guide Foodista readers to this post.Just add the foodista widget at the end of this post and it's all set, Thanks! @Alisa Thanks! Yea that would be wonderful! I'll add the widget asap!